The infuriating tale of a young Palestinian punished for exercising his freedom of speech. Like many of his generation, Waleed Al-Husseini began a blog in his twenties. 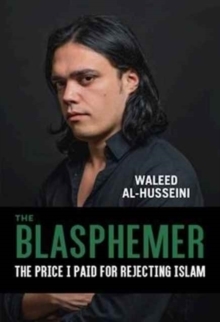 However, unlike many, Waleed also had the misfortune of having been a blogger in Palestine; worse yet, he often criticized Islam and its adherentsï¿½ and declared himself an apostateï¿½ in his writings. The Palestinian Authority did not take well to this and eventually put Waleed in jail without a trial or even a wisp of legal justification. As if this was not bad enough, they placed Waleed in solitary confinement. This state of affairs continued for 11 months. Over the course of this time, Waleed was tortured and suffered innumerable indignities and deprivations simply for having the audacity to speak his mind. Eventually his unjust imprisonment began to draw international attention from foreign governments and human rights organizations, which pressured the Palestinian Authority and finally forced it to provide him a trial and parole. After being paroled, Waleed fled Palestine, first to Jordan and then to France, where he has become an outspoken advocate for freedom of speech and a critic of the state of contemporary Islam. The Blasphemer is a sobering, impassioned recounting of this Kafkaesque experience as well as a searing polemic against the corruption and hypocrisy that define contemporary Palestine.